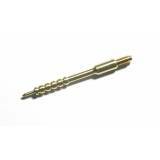 22 Cal Brass Cleaning Jag Made in Australia Benchrest quality, standard thread with male atta.. Accuracy International AX338 Bore Guide .. The 12-piece Nightforce Optical Cleaning Kit includes cleaning and anti-fog sprays, several micro..